Logitech is aiming to woo gamers with a new compact mechanical gaming keyboard toting custom switches. 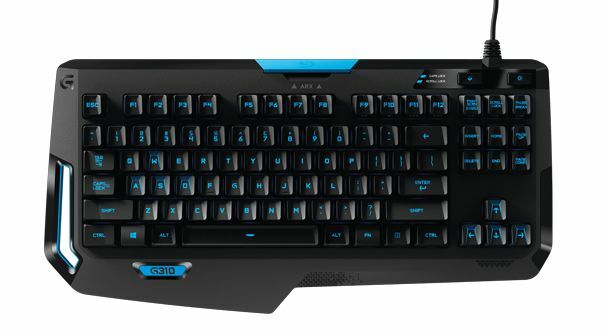 The G310 Atlas Dawn Compact Mechanical Gaming keyboard (to give it its full name) features Logitech's Romer-G switches, which the company claims are 25% faster than the ones on Cherry MX keyboard's mechanical switches and possess a 1.5mm actuation distance. In theory, this means that it should take less time to execute commands while proving more durable in the long run. Spotted on Logitech's Malaysian website, the G310 bears a resemblance to Logitech's Orion Spark G910 mechanical keyboard. It's shorter due to the lack of a number pad, which should make it more bag-friendly for easier transportation. Other features include illuminated keys that work with Logitech Gaming Software, an Arx Control Dock that lets you prop up a smartphone to view in-game info and system statistics, and performance facet keycaps for comfortable typing. Priced at 499 RM (around £84), there's no word yet on UK pricing or availability. T3 has contacted Logitech to find out more.